So, here we have another case of private bank creditors being bailed-out. Yes, the Greek debt must be forgiven to allow the Greek economy to recover, but the burden now falls upon European and American citizens instead of on the banks’ owners, where it properly belongs. 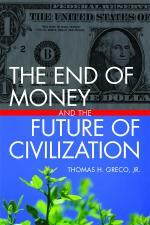 This entry was posted in Finance and Economics, Geo-politics, The Debt Imperative, The Political Money System. Bookmark the permalink. If the banks adjust their books, no loss is incurred. They just created it on their books. That is how it should be settled.